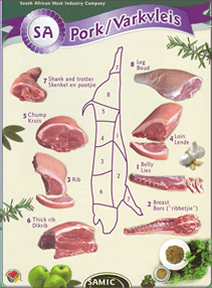 SAMIC is a quality assurance company which was created by the Red Meat Industry of South Africa to ensure the quality and safety of meat in South Africa. At SAMIC we believe in world class standards of quality audits, inspections and outstanding service performance. 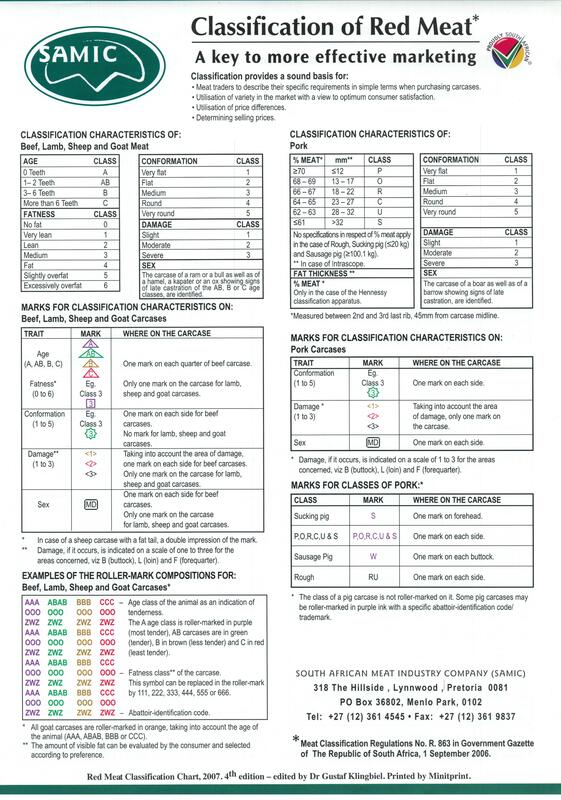 The National Department of Agriculture appointed SAMIC as Assignee for the application of sections 3(1)(a) and (b) and 8 of the Agricultural Product Standards Act (no 119 of 1990) with regards to the classification and marking of meat intended for sale in the Republic of South Africa. 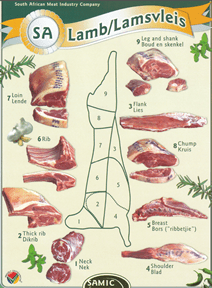 The SAMIC coordinators operating across the country perform this duty with full commitment to consumers, farmers, abattoir owners and meat traders to ensure always 100% integrity in our product – beef, lamb and pork. It is therefore important that no fraudulent activities will go unpunished and that the playing field stays level. We believe in world class standards of quality audits, inspections and outstanding service performance.The National Department of Agriculture appointed SAMIC as Assignee for the purpose of the application of sections 3(1)(a) and (b) and 8 of the Agricultural Product Standards Act, 119 (Act 119 of 1990) with regards to the classification and marking of meat intended for sale in the Republic of South Africa. The SAMIC coordinators operating across the country perform this duty with full commitment to consumers, farmers, abattoir owners and meat traders to ensure always 100% integrity in our product – beef, lamb and pork. It is therefore important that no fraudulent activities will go unpunished and that the playing field stays level. SAMIC is assigned by the National Department of Agriculture Forestry & Fisheries to audit Quality Indication Marks on behalf of them. The two outstanding characteristics of Quality Indication Marks are the uniqueness of it against the norm, and that it is always traceable. 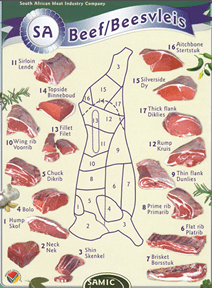 Therefore SAMIC is auditing Quality Indication Marks at Farms, Abattoirs, Feedlots, Deboning Plants and Outlets. SAMIC is a dynamic National based company that must keep up with the rapid changes of a new business environment. Being a Government Assigned Company, SAMIC must align itself with the priorities of Government. Samic is trots daarop om ‘n eerste uitgawe van die Vleisbeesrasse, Skaaprasse, Bokrasse en Varkrasse in een bundel vir die Bedryf, Landbou Kolleges en Landbouskole saam te stel. 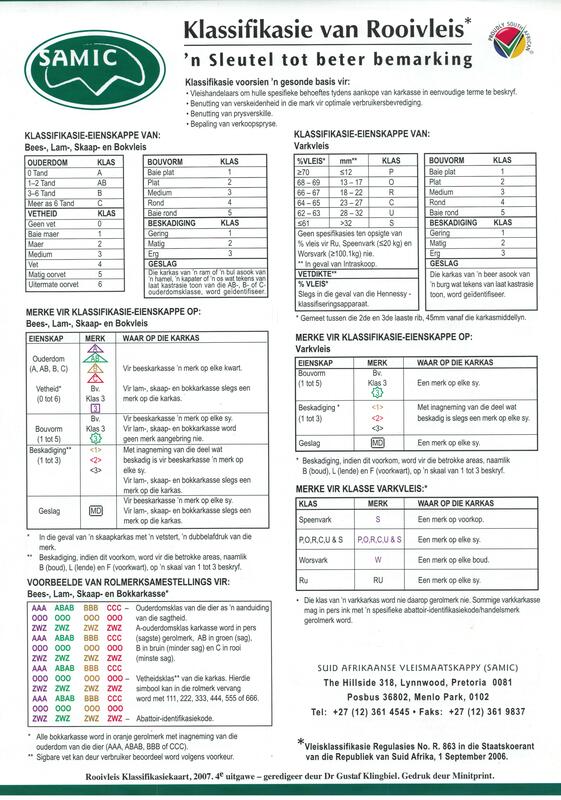 Ons is van mening dat hierdie samestelling van groot hulp kan wees vir bovermelde instansies in so verre dit die bekendheid van alle rasse by wyse van foto’s nou vir die eerste keer beskikbaar stel. Samic vertrou dat hierdie uitgawe ‘n lang verwagte gaping in hierdie verband sal vul en sal met belangstelling die aanvraag hiervan dophou. Indien die aanvraag hervan so ‘n mate van belangstelling wek, beplan Samic om later ‘n tweede uitgawe met meer inligting, veral vir boerderypraktyke en ander belanghebbende partye saam te stel. Samic wil hiermee sy dank en waardering uitspreek teenoor Stamboek SA en die betrokke Teelgenootskappe wat al die foto’s hierin vervat aan ons beskikbaar gestel het.